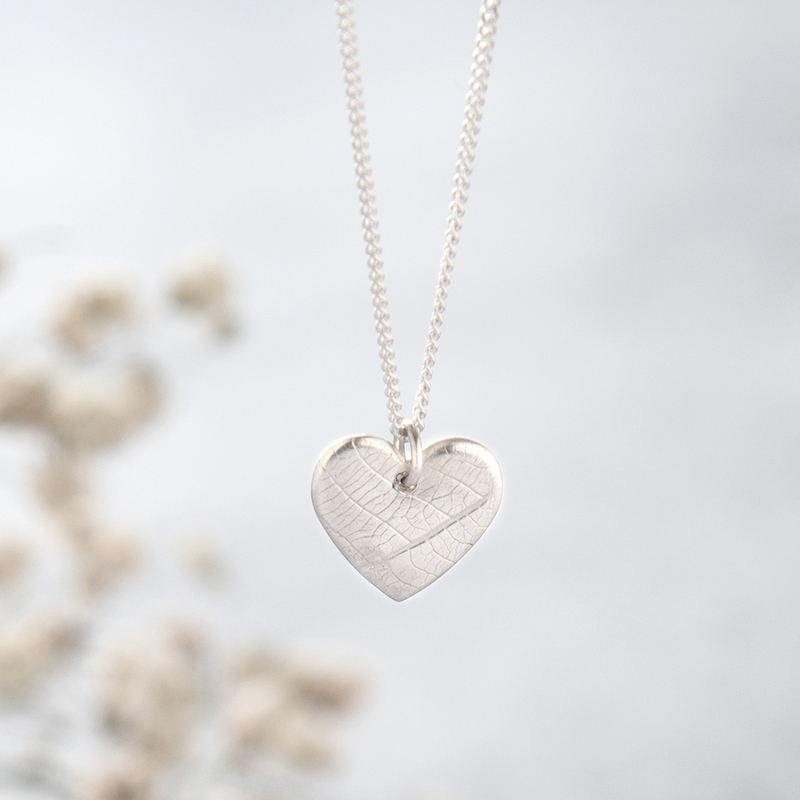 A brand new necklace design with a tiny textured sterling silver heart which has the imprint of an individual leaf each one as unique as a fingerprint. Heart pendant supplied on an 18" sterling silver curb chain. Heart measures 10mm x 10mm. Please note that your jewellery will be made to match as closely as possible this photograph, but as all our jewellery is handmade so please allow for slight variations in design. Please note that silver will develop a natural patina with wearing over time. It can easily be cleaned with a soft cloth and silver cleaner to restore its shine. 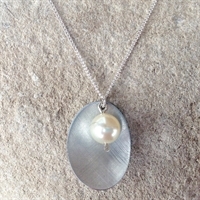 Aluminium necklace with Swarovski pearl detail. 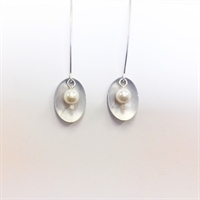 Elegant Long earrings with Swarovski pearl detail. Small star earrings on medium earwires, handmade from recycled aluminium.